Each month we feature a new species. This month we discuss Cerithidea decollata (Linnaeus, 1767) (text and photograph by Alan Hodgson). This marine snail is commonly known as the Truncated Mangrove Snail. It has a wide subtropical to tropical distribution in the West Indian Ocean, but in South Africa extends south into the Western Cape. As its common name suggests it mainly lives in mangroves, but south of East London it can be found in the salt marshes of estuaries. Figure 1: Cerithidea decollata commonly known as the Truncated Mangrove Snail. The activity behaviour of Cerithidea decollata is fascinating. At low tide it is found crawling over the mud where it feeds on detritus and microalgae. However before it is submerged by the incoming tide it climbs up the trunks of mangrove trees so that it is always above the water, presumably to avoid predators. How it knows when to start climbing, and how far to climb, is a mystery. 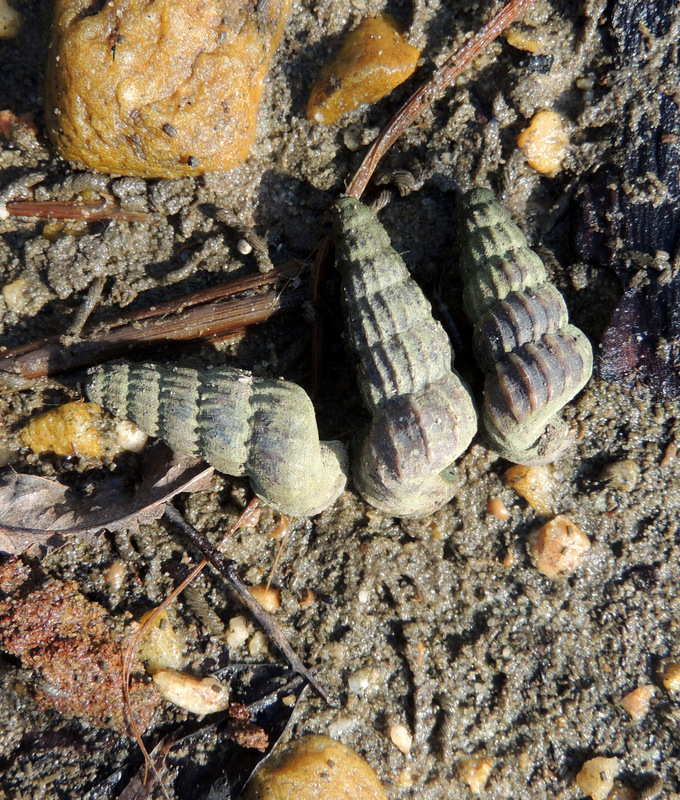 The snail is able to adjust for high tides occurring at different times of the day, and also for the differences in tidal height between spring and neap tides. Because there are no mangroves in the Knysna Estuary, the snail climbs up the leaves of the dune slack sharp rush (Juncus krausii). Another mystery to be solved is where the juveniles are, as it is mainly adult snails that are found in the salt marshes of Knysna.